Designed for flats fishing and wet wading, our Tech Fishing Skort is made from a lightweight, moisture-wicking and quick-drying 88% polyester/12% spandex blend with a DWR (durable water repellent) finish. 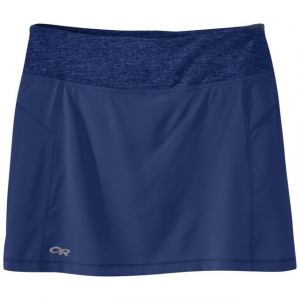 The outer skirt offers effortless movement, while the built-in interior shorts are comfortable, convenient and versatile; the skirt length adjusts via an elastic cord in each side pocket for customized coverage. 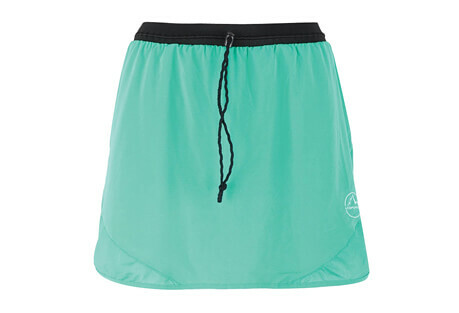 The design features two drop-in front pockets, plus two envelope-style waistband pockets-a small one in front and one at the center back, which holds a fly box, sunscreen or lip balm. The Patagonia Women's Tech Fishing Skort is just as versatile as a soft hackle pheasant tail, but way more fashionable. 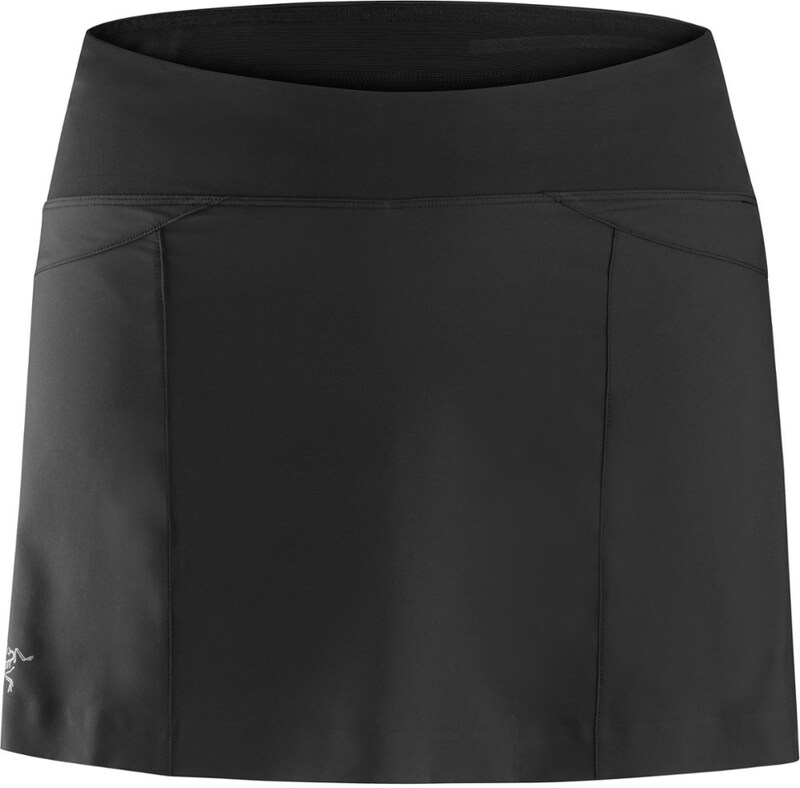 Lightweight fabric made from polyester and spandex gives this skort a smooth feel that naturally wicks away moisture, and it has a DWR finish that keeps you dry after wading through the water for some trout. 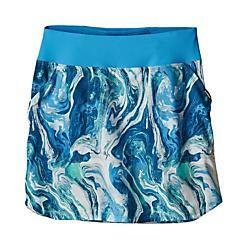 The built-in shorts prevent chafing and the skirt's length adjusts by the convenient elastic cords in the hand pockets. As versatile as a soft-hackle pheasant tail the Tech Fishing Skort succeeds by imparting action while at all times appearing natural. Made from a lightweight moisture-wicking and quick-drying polyester/spandex double-weave fabric blend treated with a DWR (durable water repellent) it's perfect for wet wading pocket water for trout or stalking bonefish on the blazing flats. Interior built-in short is comfortable convenient and versatile. Skirt length adjusts via an elastic cord in each side pocket for customized coverage. Envelope-style pocket at center back holds a fly box sunscreen or lip balm. Relaxed fit.